Massive attack 18 cruise missiles of the Calibre Oil Company complex. That showed the military in the first act of the Syrian campaign. The Syrian war with the Islamic radicals are not finished. However, after the order of significant withdrawal of Russian military contingent can draw attention to some aspects of the operation, launched in September 2015 related to its components and used weapons. The saying goes: Amateurs interested in tactics, professionals study logistics. Like any aphorism, this phrase is only half true: experts on the military use and may be offended by such disregard for their competence. However, the most important role in the functioning of the armed forces is played by the comprehensive support of combat actions. In the case of the Syrian operation, the Russian military has demonstrated abilities that they had never expected. In any case, the mass consciousness, accustomed to the image of the "invincible and legendary", could get injured from a collision with a new reality: the rapid and stealthy deployment of groups on the remote theatre, streamlined logistics by sea and by air, compact mechanism to ensure that rapid withdrawal of the main forces after receiving the order. Colonel-General Aleksandr Dvornikov in a recent interview to "Rossiyskaya Gazeta" noted that from September 2015 in the interests of deployment and security entrusted to him by Syrian group performed more than 640 sorties and over 80 flights of Maritime transport. From a military point of view the greatest interest is exactly this aspect of the Syrian campaign, usually hidden behind the standard symbols for an ascending aircraft and systems With-400, menacingly rasputitsa radars. He is perhaps most clearly reflects the changes in Russian armed forces since the end of 2000-ies, after the launch of military reform, one of the key objectives of which was the creation of mechanisms for rapid implementation of the armed forces at a great distance from places of permanent deployment. And this task was fulfilled on the so-called "sudden inspections of combat readiness" launched in 2013 reformed the army, when on the far-Eastern teachings, for example, could throw a front-line aircraft from the European part of Russia, and then just as quickly back in again. Syria in narrow terms of logistics has become a kind of "crown" of this training, the exercises with combat attacks — but also, unfortunately, victims. From this side it is best to see how much has changed in the Russian armed forces. The notion that a modern army fills up the enemy's precision guided munitions, while various "underdeveloped" use only free-fall "iron pots", whose elder brothers still Stalingrad and El Alamein saw as widespread as it is wrong. 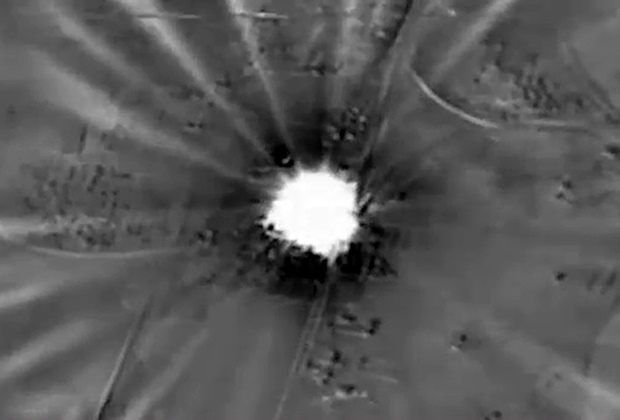 This is particularly well illustrated by the example, the operations of the Russian air force in Syria. The basis used there the TSA — ofab-250-270 model 250-kilogram high-explosive bombs. Guided munitions, such as KH-25ML, KH-29Л or guided aerial bombs, amounted to only a small fraction. It was for a reason that is not related to the underdevelopment of the domestic air force. The fact that in the modernization of tactical aviation decisions were made, different from the path that went from, say, the U.S. air force. The Americans had created a JDAM — set of inertial-satellite guidance system and tail rudder that allows you to turn an ordinary bomb into the adjustable. As a result, the share of managed TSA used U.S. air campaigns of the last 25 years, consistently growing from 10 percent in Iraq in 1991 to 25 percent in Yugoslavia in 1999, 60-70% in Afghanistan 2001 and Iraq 2003 to 85 percent in Libya in 2011. Instead, Russia decided that it is cheaper to upgrade the sighting and navigation complex bombers. So there was the ROC, "Metronome", which was created sighting system SVP-24 "Hephaestus" for increased accuracy of conventional bombs reset due to the automatic registration of parameters of movement of the aircraft and external disturbances. Similar problems were solved in the framework of competing ROC "hussar", which were created by the su-24M2, however, the military eventually chose "Hephaestus". It was resulted in high-precision application the most common cheap ammo. Particular economy process, of course, must include the calculation of the model scenarios: mapping research and development costs aimed at the complex and the upgrade of the aircraft — on the one hand and the development of a possible analogue of JDAM with the cost of purchased upgrade kits. It can be argued that with the increasing number of munitions used Russian variant is becoming more preferable (at least for countries not burdened by the abundance of available resources). OCD "Metronome", by the way, in the end, cost the budget over 108.7 million (the original contract was back in 1996 to 11.7 billion non-denominated rubles), and modernization of aircraft su-24M in prices from 2010 to 2012 costs were approximately 30 million (including up to four million roubles the actual work, the rest is the cost of installed equipment). 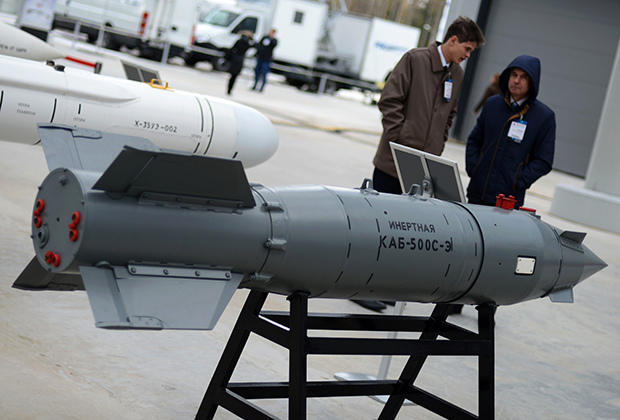 In this case, say, domestic high-precision "GLONASS-bomb" KAB-500C, also used in Syria, according to press reports, is worth three million rubles in 2011 prices. American standard JDAM kit costs the Pentagon's budget is approximately 30-40 thousand dollars (depending on type). Much more attention was drawn to another "high-precisions" — cruise missiles 3М14 marine complex "Caliber", first applied on 7 October 2015, cruise missiles and air-launched Kh-555 and Kh-101, which first used the long range aircraft on November 17. Attention riveted on missiles 3М14 from October 2015, a proper explanation has not, as well as heated debate about the characteristics of why something unfolded in social networks on the basis of the "analysis" data range export variant, not exceeding 300 miles. 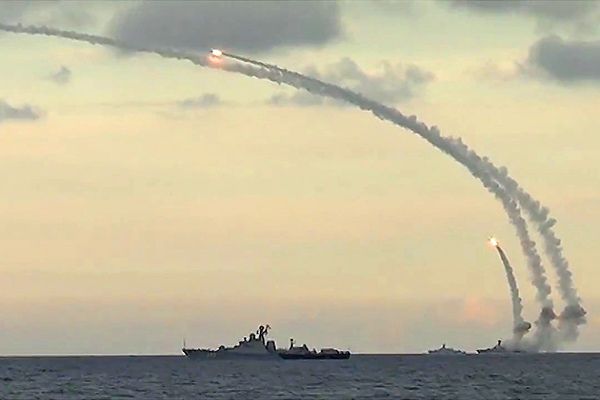 Since at least 2012, the military stated that in service with the Caspian flotilla has missiles with a range of 2600 miles. Another question, what to say is one thing, but to demonstrate in a live shot a few dozen cruise missiles is quite another. So it was surprising to see the alarmist reaction by some Western analysts, allegedly first learned of the existence in the area of their professional interest in strategic arms, a throwback to Soviet cruise missiles 3М10 complex "Granat". Yes, this type of weapon exist. No, it is not something outstanding from the total number (there's a more interesting new development of the Kh-101, but also to a certain extent). The reasoning that 3М14 overturned the dominance of the US Navy, the sea, emerged abundantly in autumn on different kinds of Internet resources and even the national media, have under themselves no bases. For these purposes, the Navy was (and is now) other missile systems; how they solve this problem, you can argue. Returning to Syria, it should be noted that the information used when pointing cruise missiles at the targets, extracted including officers of the special operations Forces. This was clearly stated Colonel Viktor Romanov when awarding in the Kremlin, saying that one of the six (then five) the Russian military officially declared dead in Syria, commando Fedor Zhuravlev, just did it. Despite these tragic circumstances, the use of cruise missiles in Syria can hardly be considered a key episode of the campaign. In fact, here the military and staged a full-scale military exercises (and probably got treated and now a lot of useful information that would be difficult to extract from the experience of practical shooting). However, maybe it was worth it: in any case, the money spent on that work on Russia's image and for internal PR is much more effective than if they were mastered by traditional outreach channels. The list of the awarded in the Kremlin on March 17, of course, incomplete: awards for Syria has received and other people. But certain conclusions from it still can be done. 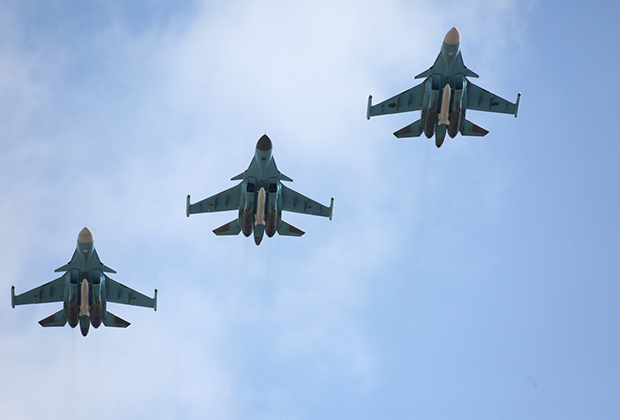 For example, this list is clearly visible against the military-political leadership to the first combat experience of the use of bombers su-34. Officially it considered part a pair of su-34, which took place flight tests, in suppressing Georgian air defense system during the five-day war in August 2008. But it is, first, still challenged by some observers (at least, in terms of success), and secondly, in any case was not an example of systematic working of these machines, manned by the pilots of combat units. 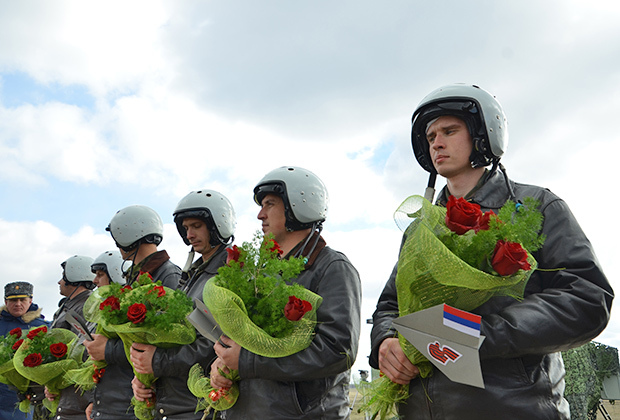 In the list awarded to the su-34 have a direct bearing on just three: the officers of the 47th mixed aviation regiment from Voronezh Baltimore (now in connection with the reconstruction temporarily deployed in Buturkinovka) Andrey Dyachenko and Andrey Zakharov, and Sergei Smirnov, General Director of the Novosibirsk aircraft plant, which produces these machines. According to the Sukhoi aviation holding company, was awarded two employees of the holding company: the technician of the same Novosibirsk aircraft plant Sergey Lubnin and chief designer of the Sukhoi design Bureau Valery Naumenko (specialist tests TSA). These facts are sufficient to assume the results of the Syrian campaign "the duckling" got a high rating. The accumulation of information about events in Syria and the emergence of performance evaluations of decisions involved tactics and the conformity of the used equipment and armament requirements will gradually sum up the results of that phase of the Syrian campaign, which culminated in the orders of Vladimir Putin, given on the evening of March 14. On this basis, let's abstain from conclusions cosmic scale. To proclaim the Russian army of high-tech machine, one of the leading "hybrid war" by using network-centric technologies, it is too early. However, to ignore the Syrian operation is not possible. Even with careful study of the Russian armed forces considerably progressed in the last five years, it is impossible not to see that the results of military reform are presented compactly and clearly, without peculiar maneuvers on the major elements of the show. Already at this stage, he praised the Russian military's ability to successfully conduct limited-scale operations in a remote theatre with the use of aircraft and special operations forces, and ensure their logistics. It is difficult to overestimate the result of the campaign from the point of view of promoting Russian weapons in foreign markets. Many have stressed that the upcoming the order of Algerian su-32 (export version of su-34) was finally formed under the impression of these cars in Syria. The political aspect of the campaign, however, much more important: it had the potential to become one of the turning points in the modern history of international relations. But this issue requires a separate study, which should begin with the words of Talleyrand: "War is too serious a matter to entrust it to the military".